The City of Blair Police Department is located at 122 S. Urberg Avenue in Blair. ​It is comprised of three Full Time Officers and augmented with Part Time officers. All Staff are dedicated to the morale, welfare and safety of all people that live, work and visit our fine community. We have an Emergency Government Plan updated annually in cooperation with the Emergency Management Coordinator of Trempealeau County - Dan Schreiner and successfully tested during 2012 storm! We will continue to update and enhance our plan as new strategies become available to protect our community if the need should arise. 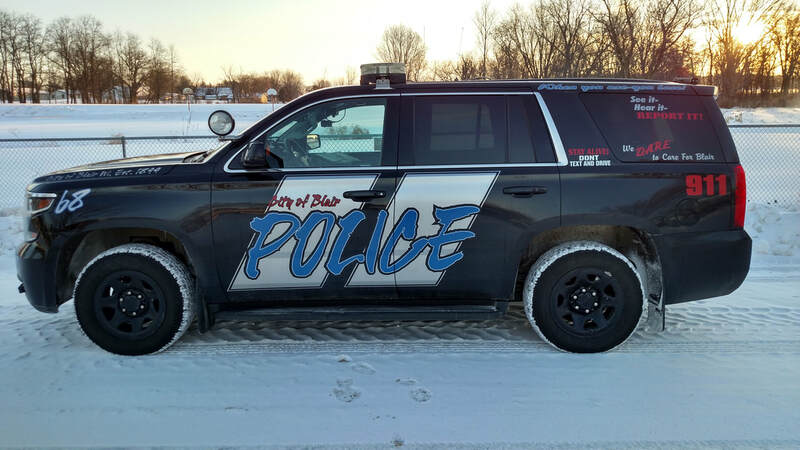 The Blair Police Department values, states and expresses what we value as important to the professional policing that describes the Police Department we are. This is the core beliefs and actions as individuals and devoted members of the Department. These values are the foundation for everything we do in employment of the Blair Police Department. We the members of the Blair Police Department, value professionalism and dedication. We will enhance public safety and improve the quality of life in Blair by exemplifying our values of professionalism and dedication through the use of partnerships, creative problem solving and innovative policing strategies. This link will provide additional access to services and information available through the Trempealeau County Courthouse such as: Social Services, D.A.R.E program, Trempealeau County’s Most Wanted, New Horizon’s, etc.